The Washington Court House Kiwanis Club hosted a “Meet The Candidates” night Monday at the Crown Room in the Rusty Keg. 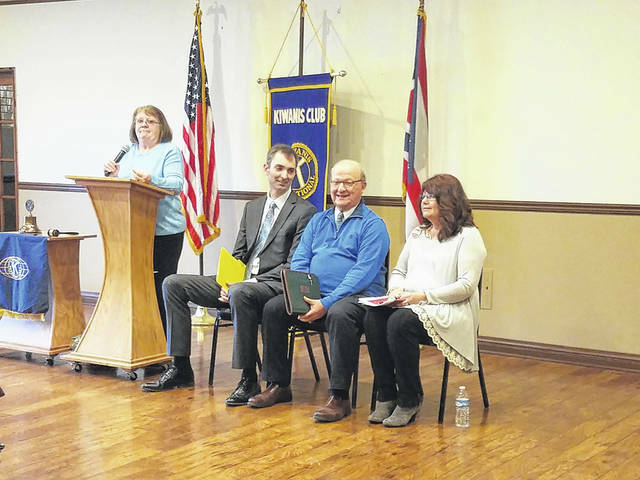 The Washington Court House Kiwanis Club hosted a “Meet The Candidates” night Monday to allow the community a chance to learn about the candidates and issues in Fayette County in the May primary election. The first of these races, discussed at the Crown Room at the Rusty Keg, is a decision between incumbent Aaron Coole or challenger Brenda Mossbarger for the position of Fayette County Auditor in the Republican primary. Following a coin flip, Coole was the first to speak to the crowd. Coole began by introducing himself and his family, and gave a brief background as to how they ended up in Washington Court House. Throughout his life, Coole has worked for a variety of employers, including a time as a manager in construction, before he started working for himself as a business owner responsible for all aspects of running a Sears Hometown Store. He was the owner/operator of the Washington C.H. store since 2010 and a store in Jackson since 2014 until he was appointed by the Fayette County Republican Central Committee, twice, in 2017. According to his resume, Coole turned around a failing business, drove a sales increase in each of the first three years, and changed the community perception of the business in Washington C.H. It also says that he was the lead in successfully moving the store location in Washington C.H., and that he purchased and redeemed a failing store, and then restored it to a thriving business in Jackson. 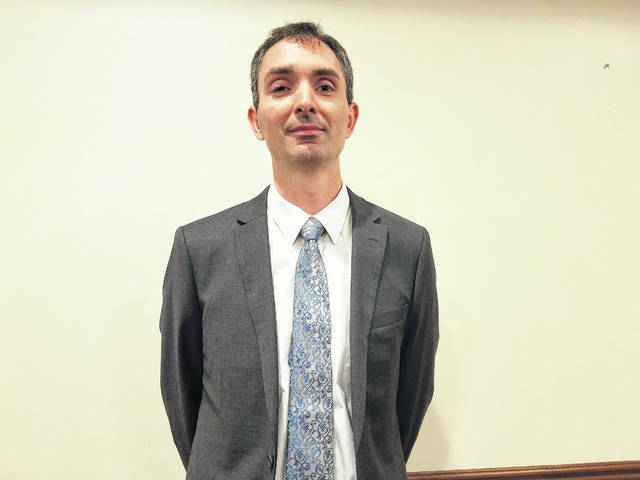 Since his appointment as auditor, Coole said he has continued to update the systems and website, and is close to ensuring these updates continue to occur on a regular basis among other issues he continues to face in the position. Mossbarger, a life-long resident who has worked in the Fayette County Auditor’s Office for the past 20 years, also started by introducing herself, her family and explained the jobs of the auditor’s office. In July of 1996, she became the accounts payable clerk in the bookkeeping department. Her job duties included completing all the account payable checks, and balancing monthly reports and year-end reports. She worked directly with the Fayette County Commissioners’ clerk to assure everything within the county was balanced. Mossbarger also worked as a back-up to the payroll clerk. In 2001, she changed positions and moved to the real estate side of the auditor’s office. At this point, she was in charge of personal property, sketching for new property, and answering and calculating real estate taxes and estate taxes. She was also in charge of everything pertaining to dog tags for the county. When Mike Smith became auditor, Mossbarger was appointed as his chief deputy. In 2015, she moved back to the bookkeeping department and handled the county pay-ins, the balance daily with the treasurer’s office, and tracked purchase orders and payment vouchers. Mossbarger was also appointed acting auditor by the Fayette County Commissioners following Smith’s retirement in 2017. One final point Mossbarger made during her introduction was that she had nothing to do with a lawsuit filed last year against the Fayette County Republican Central Committee. For reference, Coole was appointed after Mike Smith, a Republican, retired as Fayette County Auditor on March 10, 2017, before his term expired. By law the local Republican central committee was required to appoint an individual as the new auditor. Mossbarger and Coole decided to make their cases to the central committee. According to the committee, Coole received more votes than Mossbarger at a meeting on April 13, 2017. A civil suit was filed shortly thereafter in the Fayette County Common Pleas Court by Jomi Ward until the original complaint was amended and Ward was joined by two other plaintiffs – Smith and Fayette County Recorder Cathy Templin. In the lawsuit that was filed, the plaintiffs claimed that the Fayette County Republican Central Committee entered into executive session and voted by secret ballot, did not keep minutes of the meeting and unlawfully appointed Coole as auditor. 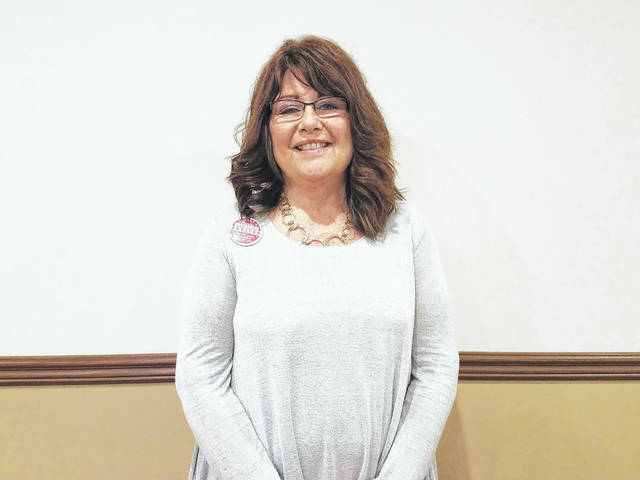 The vote count at the April 13 meeting was not released by the committee, however, Templin told the Record-Herald that Coole won by an 11-8 margin. Twenty-five elected committee members are eligible to vote on this appointment. Rather than go to trial, the committee came to an agreement with the plaintiffs that was signed by Judge Steven Beathard on Oct. 30, 2017 and Coole agreed to resign “in order to settle the ongoing lawsuit” involving his appointment. At the Nov. 9 Fayette County Republican Central Committee meeting, Coole won a roll call re-vote over Mossbarger by a 19-5 margin. Shortly thereafter, Coole was sworn in as Fayette County Auditor for the second time. Following the introductions, the crowd had a chance to address any concerns or ask questions of the two candidates. The first question asked for more clarification about recent issues in transitioning to a new computer system that both candidates touched on during their introductions. Mossbarger did clarify that the documents were still available at the desk in a paper form for anyone who asked, but it was not on the website updated. After this explanation, Templin, who was in the crowd, addressed his comment about the lawsuit by saying she disagrees and that she joined the lawsuit only after she found out the committee “didn’t care the Sunshine Law had been violated.” She said she wanted to ensure the law was being followed. Coole responded insisting that no lawsuit would have been filed. Former auditor Smith then also stood up and addressed Coole by saying he takes offense that Coole would question his integrity and that he also joined the suit because of his long-term service to the public. He also said Coole has no idea “if we would’ve filed on your behalf or not.” Another member of the audience also said it had nothing to do with Coole, but has everything to do with the reported violation. Before much more could be discussed on the topic, time was called by the moderator. Another question asked to each candidate was to explain what is important to them in the future of the auditor’s office. Both candidates spoke about increasing efficiency of the records as well as continuing to upgrade the website and systems used by the office. Coole said he is close but not quite there, and Mossbarger said she would tackle the issue if given the opportunity. A final question about the upcoming change to electronic filing was asked by Templin and whether the candidates will be willing to work with her when the time comes. Mossbarger said she thought the changes were not easy, but were a good change for the office. Coole said he is willing to work with Templin and said he thought it was a good move as well. Stay with the Record-Herald for more on the “Meet the Candidates” night in a future edition. https://www.recordherald.com/wp-content/uploads/sites/27/2018/04/web1_20180416_190110.jpgThe Washington Court House Kiwanis Club hosted a “Meet The Candidates” night Monday at the Crown Room in the Rusty Keg.